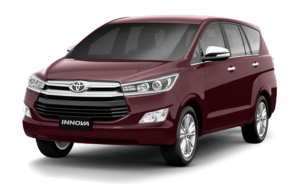 Toyota Innova Crysta 2016 is the latest edition of the famous Innova model with a facelift in exterior styling and luxurious interior features. The Innova Crysta variants are available in manual and automatic transmission versions, widening the options for customers. Currently, Innova Crysta variants are available as GX, GX Automatic, VX, ZX and ZX Automatic, with ZX as the top-end variant.